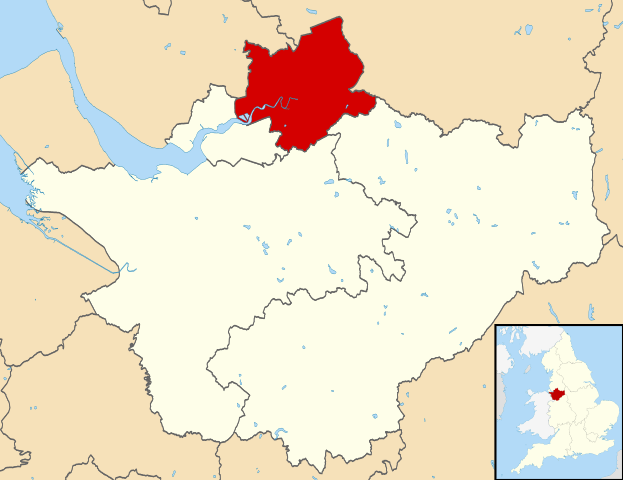 Warrington is a town located in the English county of Cheshire. With a population of about 208,800, it is the largest town in the county. Liverpool is 20 miles to the east and Manchester is 20 miles to the west. The history of Warrington is a long one. Archaeologists have been able to find evidence that there were settlements in and around the town in the Bronze Age. The River Mersey runs through the town and has been a big crossing point since ancient times. It has also been proven that a Roman settlement existed at Wilderspool. Warrington played a significant part of the English Civil War. It is where both the Earl of Derby and Oliver Cromwell stayed. Legend has it that Cromwell stayed in the building that is currently known as Cottage Restaurant on Church Street. The dents in the parish walls are thought to be from cannons fired during the war. The Royalists last win was at Warrington on August 13, 1651. The Industrial Revolution was a blessing for Warrington, especially when in the 18th Century, the River Mersey was made navigable. It was around this time that it became a manufacturing town. Brewing, textiles, steel, and the chemical industries also flourished. These days, although Warrington is geographically close to bigger cities, like Manchester and Liverpool, the retail industry thrives here. 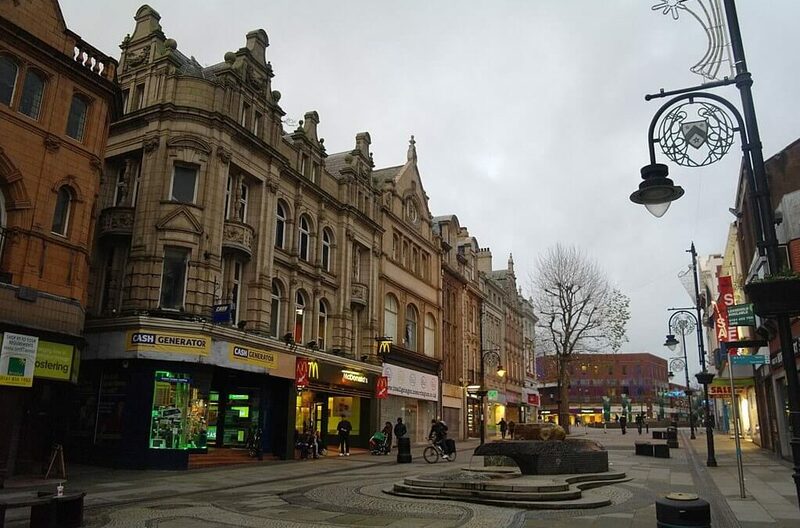 It is actually home to one of the biggest shopping centers in England’s Northwest. Golden Square Shopping Center opened in 1974 and has since expanded to include Debenhams and Primark Stores. There is no shortage of things to do in Warrington. For those into museums, Warrington Museum & Art Gallery, the Warrington Museum of Freemasonry and the Museum of Policing in Cheshire are must-sees. In addition to its museums, many other attractions make Warrington a truly special town. The Barley Mow, established in 1561, is the oldest pub in town and a great place to enjoy a pint. St. Wilfrid’s Church in Grappenhall and St. Oswald’s Church in Winwick are both Grade I listed medieval churches. Warrington cool winters with warm summers. Though rain can be experienced all year round, thunderstorms usually only occur during the summer. Heat waves are rare, but when they do occur, temperatures can go as high as 30 degrees Celsius. There are two colleges located in town, Warrington Collegiate and Priestley Sixth Form and Community College. Recently, a University Second College opened near the city center; it is sponsored by Manchester Metropolitan University. Many of the high school in the Warrington area tend to have their own post-16 provision. Each year, there are numerous carnivals, walking days, and events held in and around the town. Some common annual events include Birchwood Carnival and Safari Day, Penketh Carnival, Glazebury Gala and Stockton Heath Arts Festival. As for sports, rugby is most popular in Warrington. The Warrington Wolves are the town’s premier rugby team. The town is represented in football by Warrington Town, who are part of the Northern Premier League Premier Division.